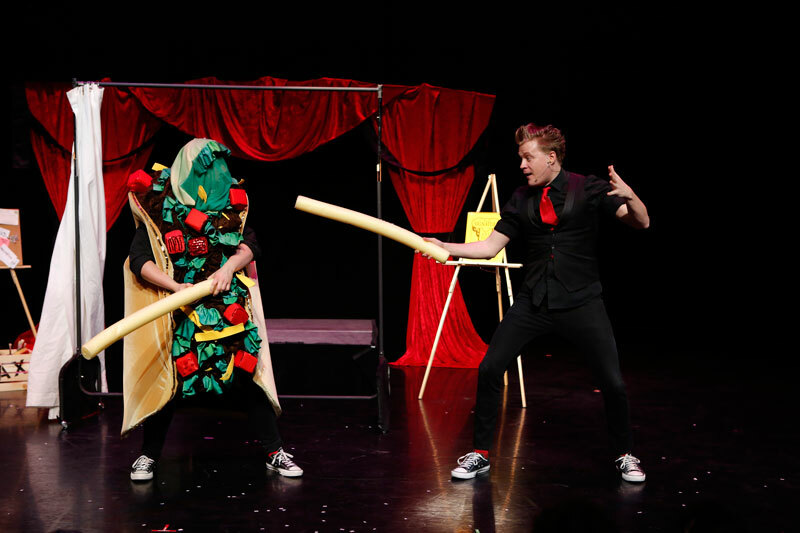 The first SUMMER FAMILY THEATER FESTIVAL at the McGinn/Cazale Theater on Manhattan’s Upper West Side offers a cool range of family-friendly entertainment for the hot summer months, with productions by Vital Theatre Company, Doppelskope, The Amazing Max and Ragtag Theatre Company, as well as summer camps for children. Tickets for all events can be purchased by visiting www.iseats.net or calling (212) 579-0528. The McGinn/Cazale Theater is located on the 4th floor at 2162 Broadway at West 76th St.
Pinkalicious The Musical, with book and lyrics by Elizabeth Kann and Victoria Kann and music, lyrics and orchestrations by John Gregor, based on the best-selling children’s book “Pinkalicious” by Elizabeth Kann and Victoria Kann. Directed by Teresa K. Pond, based on the original direction of Suzu McConnell-Wood. Flight School The Musical, based on the book “Flight School” by Lita Judge, with a book by Cara Lustik, lyrics by Joshua H. Cohen, music by David Mallamud and directed and choreographed by Clint Hromsco. It’s the first day of Flight School, where they teach birds to fly. Penguin has the soul of an eagle and is ready to live on the wind. But he wasn’t built to soar, as the other birds constantly remind him. Penguin’s spirit won’t be grounded. With some friends of a feather, and a little help on the technical parts, Penguin follows his dreams to flip, flap, fly! 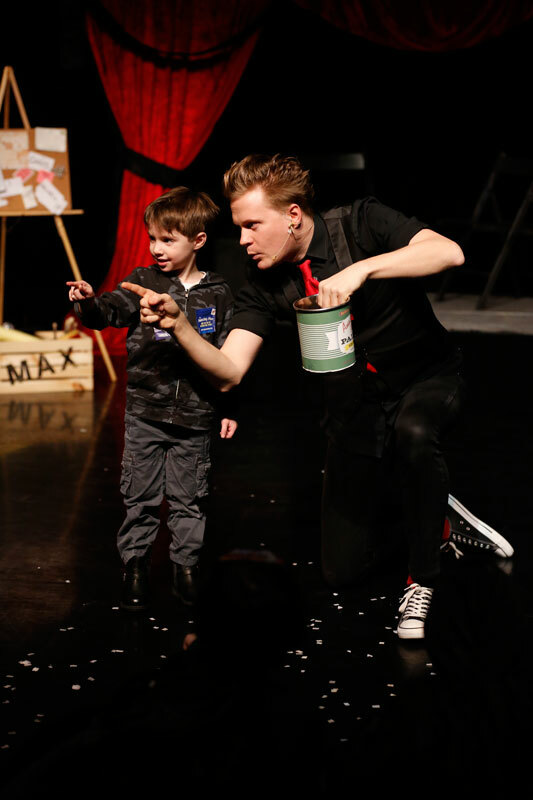 The Amazing Max is an “awesome and hilarious live magic show for the whole family” (PBS Kids) starring Max Darwin (Sneaky Pete, Blindspot, Brain Games). 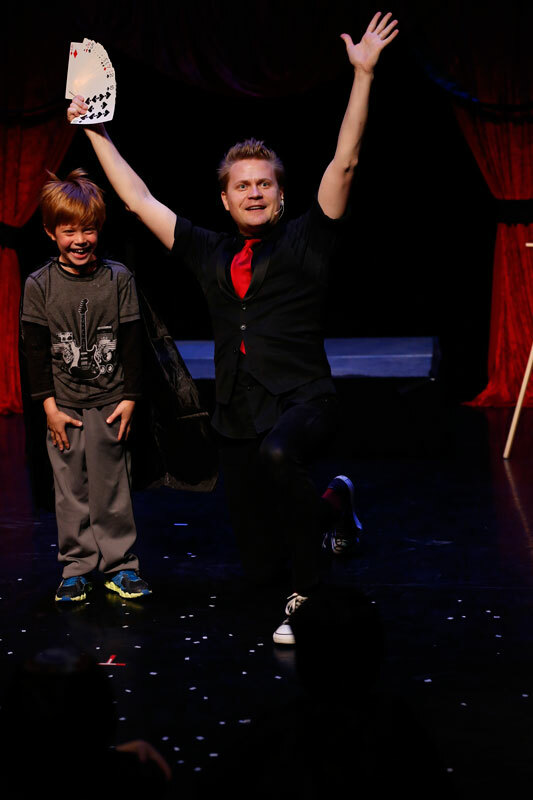 What’s truly amazing, as magician Max Darwin works miracles during the show, is not only what happens on stage but also what happens in the audience. The enchanted look that spreads across the faces of his young (and not-so-young) fans is hands down astounding. 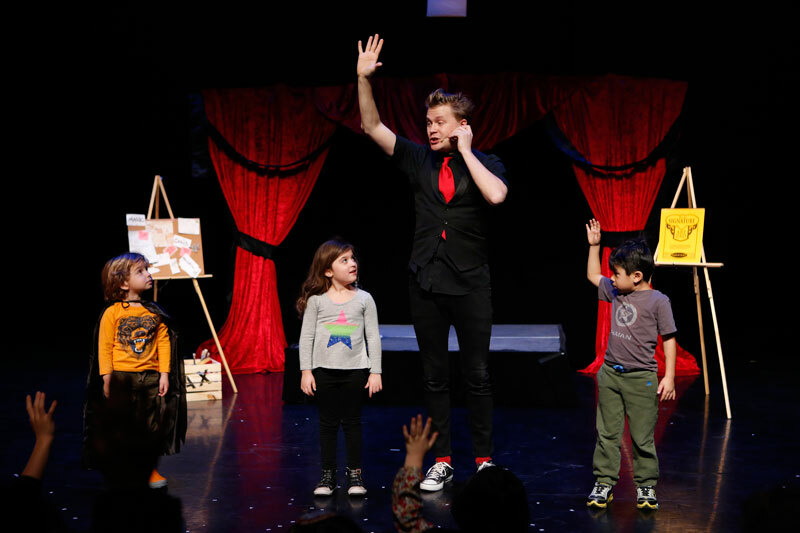 Max conjures a custom experience that little ones will carry with them long after the show ends. Premium ticket holders receive access to the VIP “Magic Lounge” (which opens 25 minutes before the start of each show), and the children receive Amazing Max memorabilia, participate in a magic lesson, have priority front row seating and take home a magic trick! Ragtag Theatre’s Cinderella, the recent Off Broadway Alliance winner of “Best Family Show” Award. Created by Playwright/Co-Director Sam LaFrage alongside Co-Director Dennis Corsi. Gruff!, an interactive, family-friendly fairytale eco-musical with concept and text by Ora Fruchter and Christopher Scheer and music by Toby Singer. Directed by Ora Fruchter. Gruff! combines puppetry, physical comedy, captivating projections, magical laser effects and unforgettable songs and takes place in a world that goats have transformed into a toxic junkyard. A young goat named Gruf discovers the magically hidden Troll Valley – the only surviving oasis of natural plant and animal life left on Earth. Gruf eagerly tries to convince her fellow goats to join her on a quest to make the world green again, but her elders are bent on drilling for fuel in Troll Valley. The fate of the world hangs in the balance! Final performance on Fridays @ 10:00 am for friends and families. All events will be presented at the McGinn/Cazale Theater located on the 4th floor at 2162 Broadway at West 76th St in Manhattan. To purchase tickets or for more information visit www.iseats.net or call (212) 579-0528.